View cart “Harrisville Boat Shuttle Bobbin” has been added to your cart. Go PRO with a LARGER metal loom and custom-sized cotton loops! You asked, and Harrisville Designs listened. This is the first time, to our knowledge, that a LARGE, ALL-METAL, ONE-PIECE CONSTRUCTION potholder loom has been on the market. 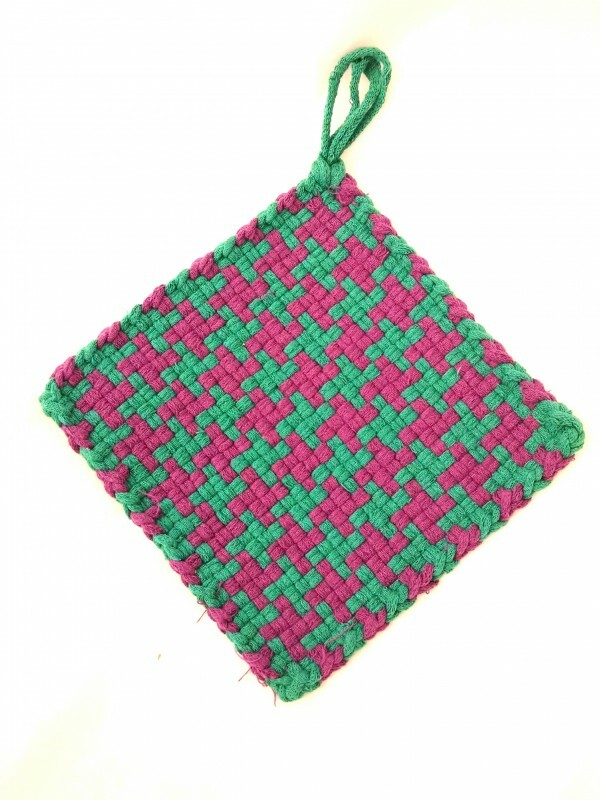 50% bigger than the traditional potholder loom, this large Potholder Loom PRO offers more design possibilities for weaving, and can be used to create a professional-size potholder that is ideal for adult hands! * Sturdy METAL Loom – 10.25″ x 10.25″ – made in the USA. * 2 Hooks (one metal for loop weaving and one plastic hook for finishing). * Illustrated instructions with lots of design ideas. Find the custom size cotton loops here, in a wide range of colors!